Fly through the streets of Gotham with Batgirl! 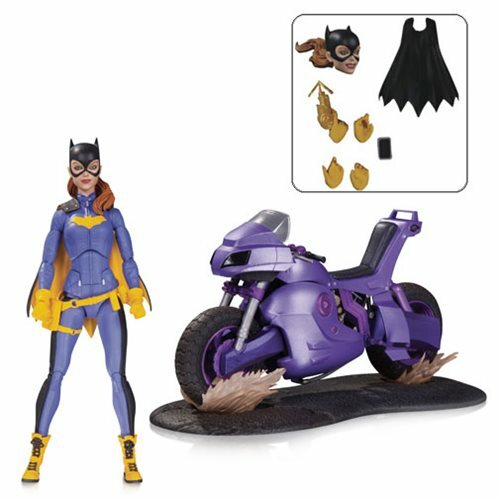 This deluxe set not only includes Batgirl, but her motorcycle, 3x sets of interchangeable hands, Grapple gun, interchangeable heads, and interchangeable capes. Batgirl measures approximately 5 3/4-inches tall. Ages 15 and up.